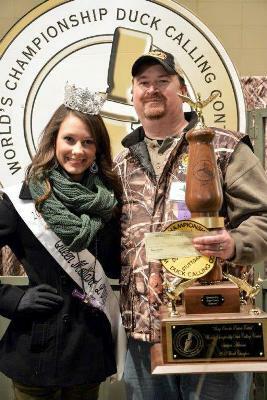 Brad Allen knows he is leaving competitive duck calling as the best in the world, but a part of him is saddened by it. 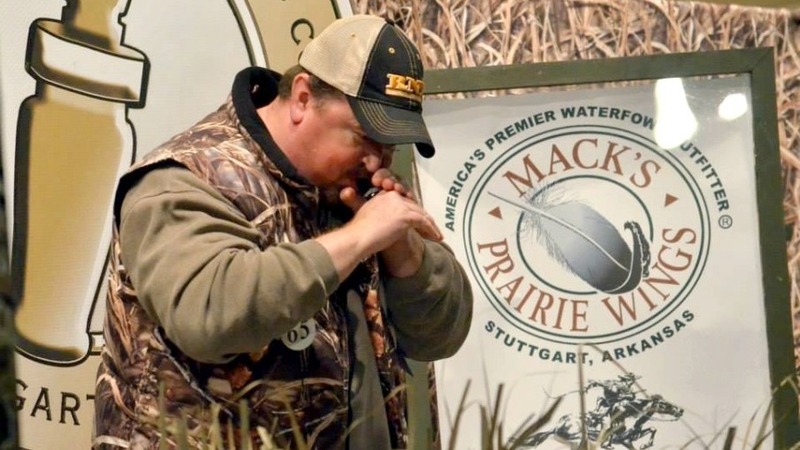 Allen won his third title during the World’s Championship Duck Calling Contest on Nov. 31 at the 78th Wings Over the Prairie Festival in Stuttgart, Ark. By rule, callers with three world titles are automatically retired from the event. Former winners are invited back for the Champion of Champions event, which is held every five years. The next one is scheduled for 2015. Allen also won the event last year and in 2010, and he finished third in 2011. He earned a prize package worth about $18,000, including $8,000 in cash, a War Eagle boat and other prizes.John Stephens of Stuttgart, Ark., was the most recent caller to retire with three titles in 2005. He also won in 1998 and 1995. For the second year in a row, Allen outpointed his close friend, David St. John of Conway, Ark., in the final round. “David doesn’t have to dodge anyone, including me,” Allen said. “He’s a very talented caller, definitely one of the best out there. I tell you, I felt for him. It’s happened to me twice, where I was very close to winning the world championship and had it slip through my fingers. It’s a tough pill to swallow, like getting kicked in the gut. “I celebrated the win myself, but I kind of knew what he was going through. Of course, David’s a very close friend and just a class act, right there to celebrate with me. A great guy and an awesome caller.”Johnathan Martin of Trumann, Ark., finished third, Phil Green of Weiner, Ark., was fourth and Rob Bevins of Belle Plaine, Iowa, rounded out the top five. The final match was a classic, going six rounds – including three extra, overtime periods. “I don’t know what the record is on how long it takes or how many tiebreakers they have,” Allen said. “But I can never remember more than one tiebreaker to actually decide the world champion, and we went three. You almost say we went two contests – there’s the mandatory three rounds and it took six rounds for us to hash it out. I don’t ever remember such a hard-fought world championship. It was definitely the toughest one I’ve ever seen. Allen and St. John talked back stage between rounds. Allen said he has started his own duck call company, Elite Duck Calls, to help fill the competitive void left by his retirement from calling. But leaving the stage with his third world championship, he said it was a bittersweet moment.